Updated Monday April 1, 2019 by Wally Haddick. 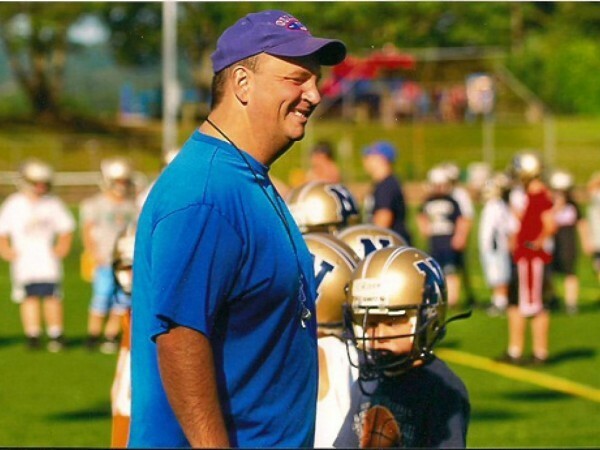 Newtown Youth Football and Cheer has a storied tradition in town of helping to build kids with strong character and confidence in a fun and competitive environment. The program is built upon its many volunteers. It again announced the winner of its highest volunteer award given to the individual demonstrating hard work, selfless dedication, “roll up your sleeves” support, and an unyielding “can do” attitude reflecting the memory of its namesake former NYF&C coach and volunteer Chris Stenz. The 2019 winner is Angel Molina. "When I first met Angel I knew that he would do anything above and beyond what was needed to help keep the NYF&C community going. It doesn't matter whether the ask was big or small he always was a go to person to get it done," said NYF&C President, Gary Pontore. "Over the past few seasons, Angel has stepped up and helped the league raise a tremendous amount of money by taking charge of all food related services during game time. It's a huge peace of mind knowing when Angel is in charge." Football and cheer are equipment, hour, and participation intensive compared to other sports. It requires parent activity and volunteer participation to support the board and coaches in NYF&C. It is what ensures the highest level of safety and fun for all kids. It also contributes to the character building of the boys and girls and to the sense of community and family among parents in the NYF&C. Chris Stenz graduated from Fairfield College Preparatory School in 1987, where he was a standout football player for the Jesuits. He attended Providence College, where he met his future wife, Cheryl, who also served tireless on the NYF&C board and in Newtown sports. Chris graduated in 1991 after receiving a BS degree in Business Administration and Finance. A prominent and respected figure in the Newtown Youth Sports community, Mr. Stenz embodied volunteerism where he spent countless hours developing young football, lacrosse, basketball and baseball players. Charlotte, Will, and Jack, the children of Chris and Cheryl, are also products of the Newtown sports community. The NYF&C also announced its youth football and cheer registration for 2019 is now open. Early bird discounts are available through April 30, 2019. For more information about registration or to help support our program or our local partner charities, please visit us at http://newtownyouthfootball.org or follow us on Facebook or Twitter.